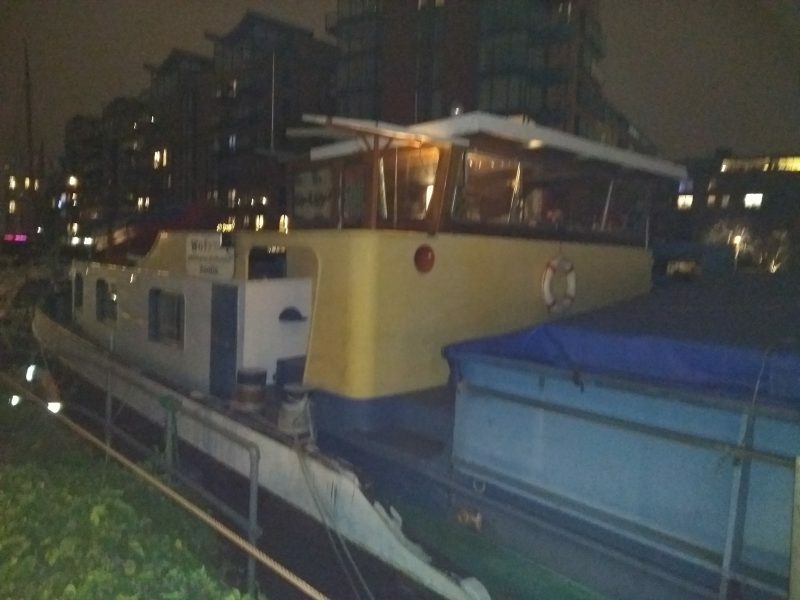 19th January 2019 – We had our annual New year’s drink on the Terra Nova. 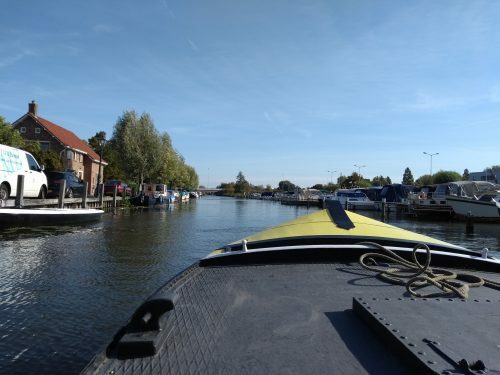 She is moored in Vreeswijk, near Utrecht. It was a great afternoon. 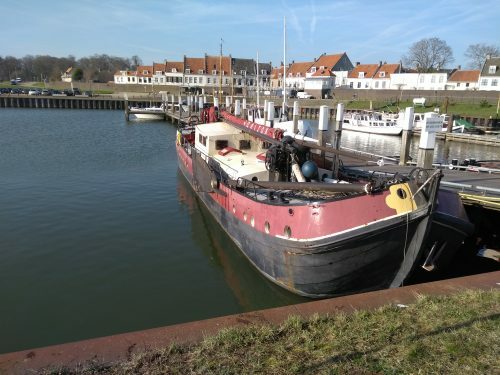 A person gave a nice overview of the steam paddle ships on the river Lek. 7th January 2019 – We had our annual New Year’s drink with the boat people. The weather wasn’t right, and a lot of people didn’t show up. Nevertheless, we kept it going till midnight. 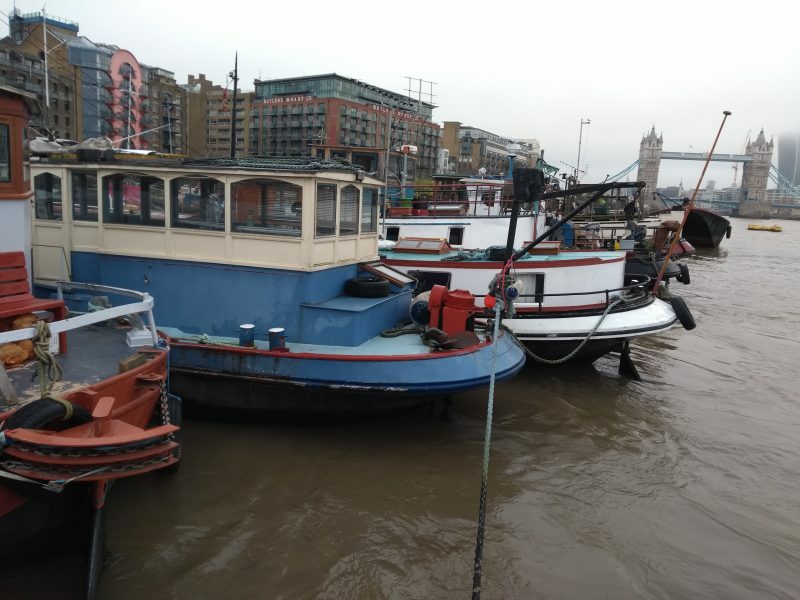 1st January 2019 – During this journey, I’m staying on a Luxe motor at Tower Bridge mooring. There are around 30 barges on that mooring, most of them ships built in Holland. 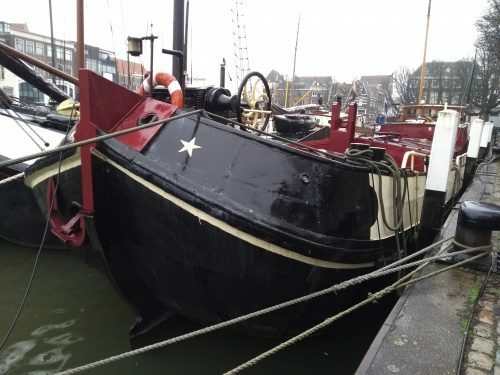 There are a few rare and very nice examples of older ship types that we barely see in Holland anymore. 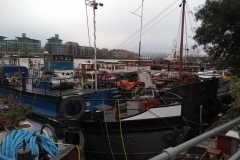 31st December 2018 – We visited Canary Wharf, the docks around it and the Dockland Museum. I recommend you to visit this museum if you are in London. Count on a few hours to visit the building with all the levels. I only went for the second floor. 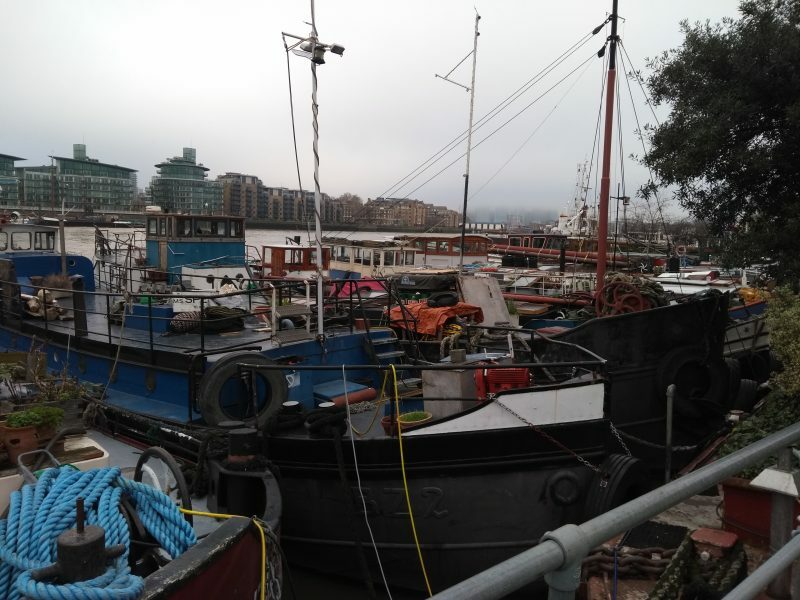 30th December 2019 – Thanks to a friend, I was able to visit the Hermitage moorings in London. 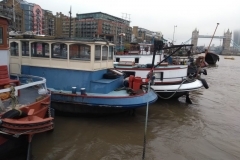 A small set of nice vessels are moored near Tower Bridge. 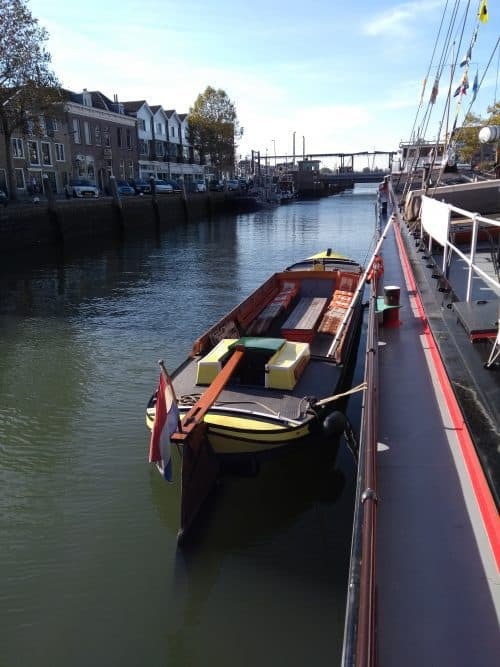 Again, most of them were Dutch barges with a few exceptions. When walking around, it was like walking in a Dutch historical harbour. 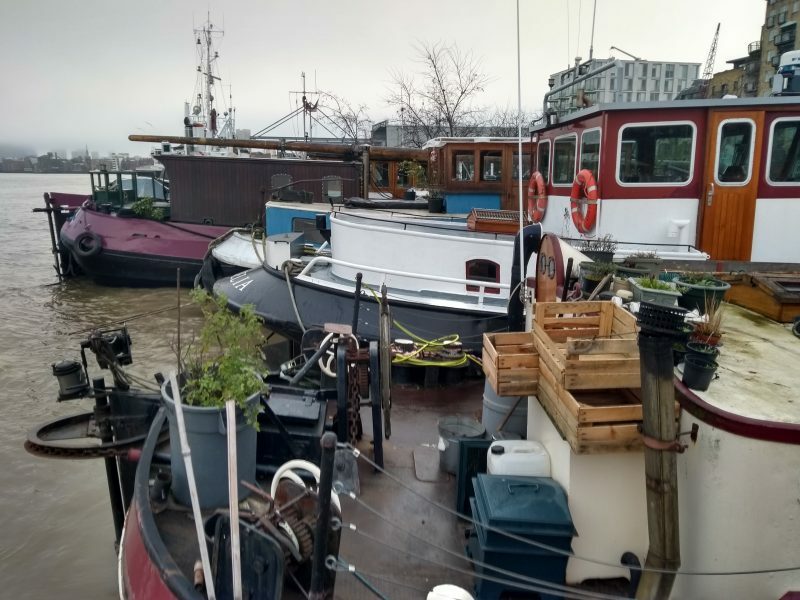 29th December 2018 – I arrived earlyy in the morning a Gravesend. A friend has his barge in a Marina together with several other ships. Most of them are Dutch barges. In the corner of the dock was a bigger ship, the Albatros. It used to be a Luxe Motor in her early days. 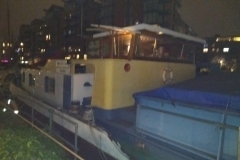 She was later converted for fishing at sea and became a houseboat through my friend Andy in London. After he passed away, I lost track on most of his ships. 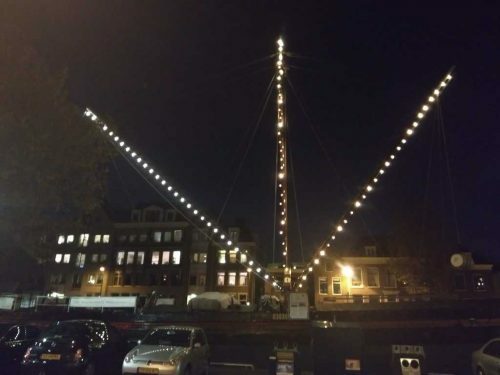 11th November 2018 – Slightly ill, I decided to go Den Helder. It is one of the last nautical events this year. 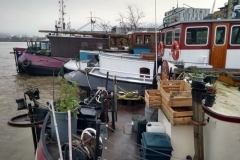 I was a bit disappointing, since I have the feeling it has become more of a antique shop then about people who are working with historical boats. In the afternoon, there was a lecture about the European Certificate for barges. Very interesting. 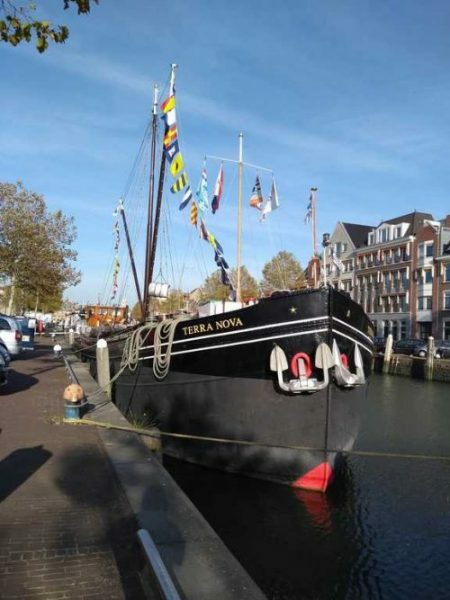 13th October 2018 – Some more sleep would have been better, but I didn’t want to miss the Terra Nova Dag in Maassluis. 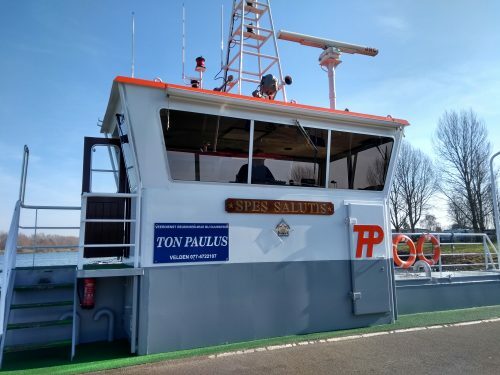 Besides being aboard on Hollands nicest Luxe motor, I went to visit the tugs Hudson and Furie. 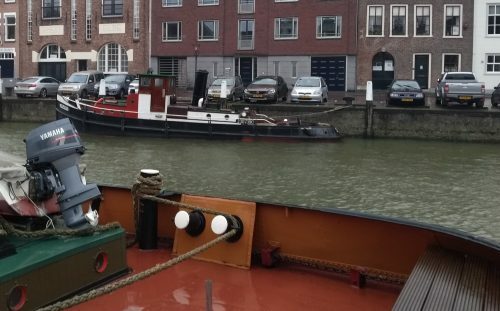 Maassluis is a small harbour with several tugs open to the public. 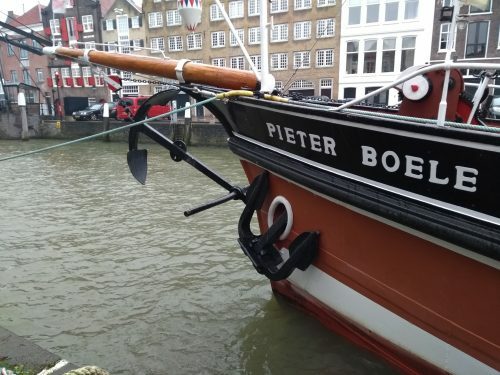 In the old town hall is a museum about the Dutch towage history. I was short in time, but it was very interesting to see. Everything is run by volunteers and this makes it even more valuable. We had a good meal aboard the Terra Nova before heading home. A nice and successful day! Pictures of both tugs will follow when I’m back from the yard. 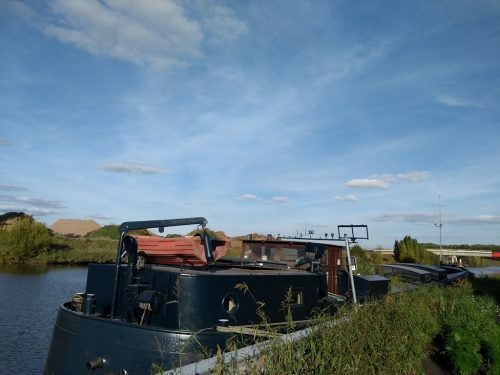 7th October 2018 – The Watergeus is not the only ship that needs to get to the yard. My neighbour in Beernem tried getting to the yard at the beginning of September, but had some cooling issues with the engine. We had a second look today, but with no success. 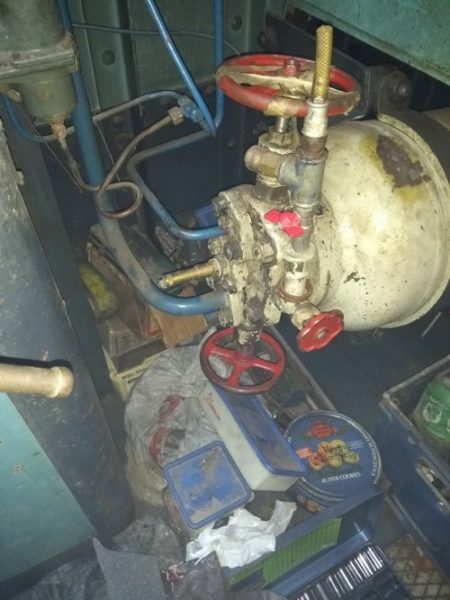 At least we know how the pumps work, but we didn’t manage to get enough air into the bottles. 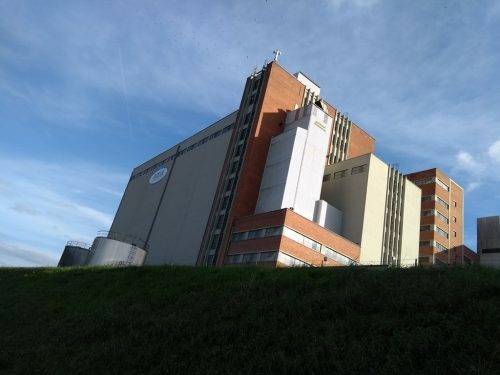 If only we could turn this factory into a maritime museum. So many levels, so much space….